Its summer time here in the PNW and many of us will be hitting the trails and streams in order to get our annual dose of Nature. Before packing your packs and stringing up your boots take a review of these few wilderness etiquette rules we wrote up as well as useful preparations to keep in mind while planning out your adventure. Be respectful of other people on the trail/campsite. 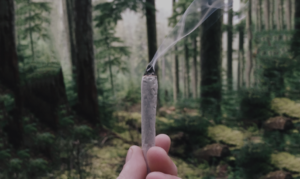 Not everyone is a fan of cannabis, and even if they are, they’re not out on the trail in order to meet other people getting high, they’re there to get away from people and be with Nature. This is especially relevant when considering families with children. Be mindful of where you spark your doobies, be polite if you make any encounters, and check the direction of the wind! This is a rule that should be upheld with all of your debris, but especially your weed – consider bringing along an old doob-tube or tin container you can use as a portable ashtray. This gives you a safe way of ashing out your cannabis and also keeping it’s roaches and residuals off the trails. Be wary of your ash and flame. Lots of folks have a habit of ashing or tossing their roach wherever they feel, being that most of the time we’re in a concrete environment. However, during dry spells, this can have severe consequences causing fires that could ruin the natural habitat and ecosystem we’re all out here to enjoy. Same with matches and campfires in general, but especially post sesh – don’t get too high to recall this very important detail: even though the doobie or bowl seems done, it doesn’t mean there isn’t an ember somewhere covered in ash that can cause a fire. Bring along a tin container that you can use as an ashtray, it’ll keep the land safer and provide you a calmer state of mind. 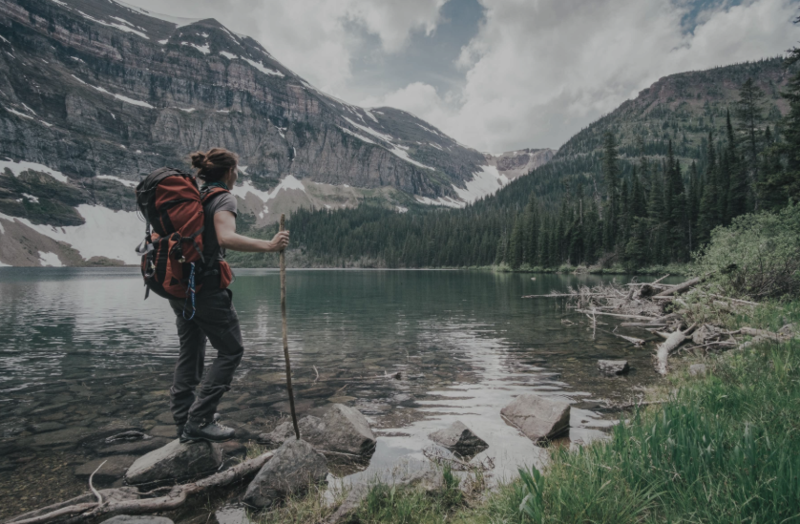 Water is essential to any hike or camping trip, however, while smoking it’s extra helpful in counteracting dry mouth and rehydrating after a bowl. Some snacks like fruit and nuts are great as well to replenish your stores of sugar, fats and essential vitamins/minerals. Plenty of fluids with a combination of nutrients and cannabinoids will allow your nervous system to keep running optimally and allow your spirit to enjoy the outdoors that much more (think, edibles maybe?). Know where you’re going, know where you are. It’s too easy to start walking down a particular trail assuming that it’ll lead you to exactly where you want to be, especially if you’ve just smoked a joint or bowl with a friend. It can become rather disorienting and a little nerve-racking if you have no idea where you’re headed and the sun is on it’s way down as well (might’ve done this once or twice). Make sure you have a trail map, or an app that helps orient you and take note of where the sun is (natural landmarks are also great). Also, take note if whether or not you’re in a National Park, you can incur up to $1,000.00 fine and possible jail time. Many people end up being stopped by state troopers for an unleashed dog, or some other infraction, and end up being searched for cannabis. Don’t break the rules to further draw attention to you. While going on a hike or camping bringing along glass can be a hassle and worry if it’s a large and/or expensive piece. If you’re committed to a water pipe, consider a less costly plastic pipe, or bringing a vaporizer instead. Other things to consider, pre-rolling your doobies and having a pack of 5-6 ready to go, and pre-grinding your flower for quick and easy bowl re-fills. 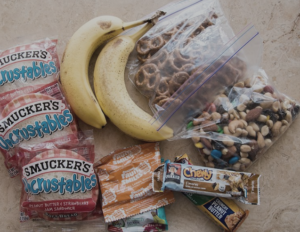 These small preparations will make the hiking/camping experience that much smoother. Matches and a lighter (or two) are a must (maybe a magnifying glass for windy + bright areas) and storing them in some sort of water proof container (ziploc bags are great) is a nice precaution against humidity and rain. What if I break my pipe and don’t have any papers? This unfortunate situation can arise. Someone misplaced the bag with all the paraphernalia, or the one piece you had broke along the way (which you promptly packed up and will discard off the trail) is out of commission. 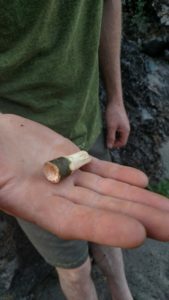 No fear, if you have a standard pocket knife, you can simply widdle yourself a one-hitter, or sacrifice an apple in order to make a completely functioning bowl. And if you don’t have a pocket knife, you can make something called a “ground bowl”. Pack in some earth and shovel out a small patch of dirt about 4 inch deep, 2-3 inches round. Fill it with pebbles and rocks up to 2-2 ½ inches. At an angle, use a stick to create a chimney creating a channel between the rocks and the surface of the ground. Use a reed or rolled up leaf to insert into the chimney and use as a mouthpiece. Place some flower on top of the rocks, and use a match to spark while inhaling from the reed/leaf lined chimney. Now go on and get out there.